Are you looking for something simple and beautiful to make this weekend? I spied these beautiful baby artichokes at the grocer earlier this week. I was drawn to their colors—rich greens and purples with a hint of gold—and their shape is unique and lovely. So beautiful, I didn’t want to cook them as much as I wanted to admire them. So, I decided to cook them in a way that respects their natural beauty while bringing out their flavors. 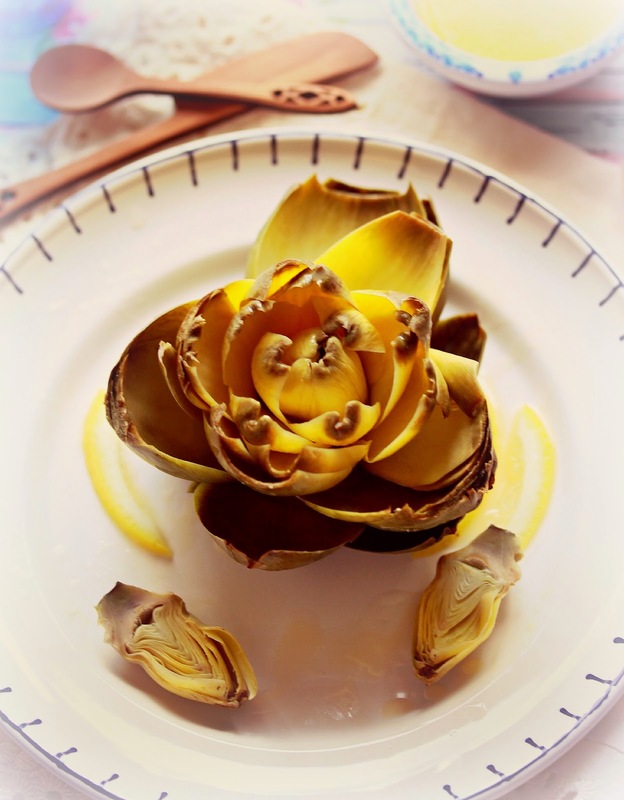 These Steamed Artichokes with Lemon and Butter are tender and delicious. Steaming them allows them to be kept intact but makes the outer leaves tender and easy to pull off, douse with butter and bite right into. As you peel back each layer, more circles of more tender leaves unfold, leading you to their tender and sweet heart. Make them for someone you love. Place the artichokes in the bottom of a large pan. They should be arranged with the stem down. Add enough water to each artichoke is covered by to about half. Sprinkle with sea salt. Bring the water to a boil, then lower it to a simmer. Cover and simmer until the artichokes are tender, about 20 minutes. The artichokes are done when the inner leaves can be pulled out easily. While the artichokes are steaming, melt the butter in a small pan. Add the lemon juice and stir. Add a bit of sea salt, to taste. When the artichokes are tender, drain the water off. Place one artichoke on each of 8 small serving plates. Drizzle with the melted butter and lemon juice. Cooking times will vary dependent on the size and freshness of your artichokes. This recipe is written assuming the artichokes will be served as a side dish. For a main course, serve two of the steamed artichokes instead of one. Sprinkle with a bit of your favorite cheese or some chopped eggs. This recipe was published on Gathering Flavors originally. Click here to read the full post with additional serving suggestions. 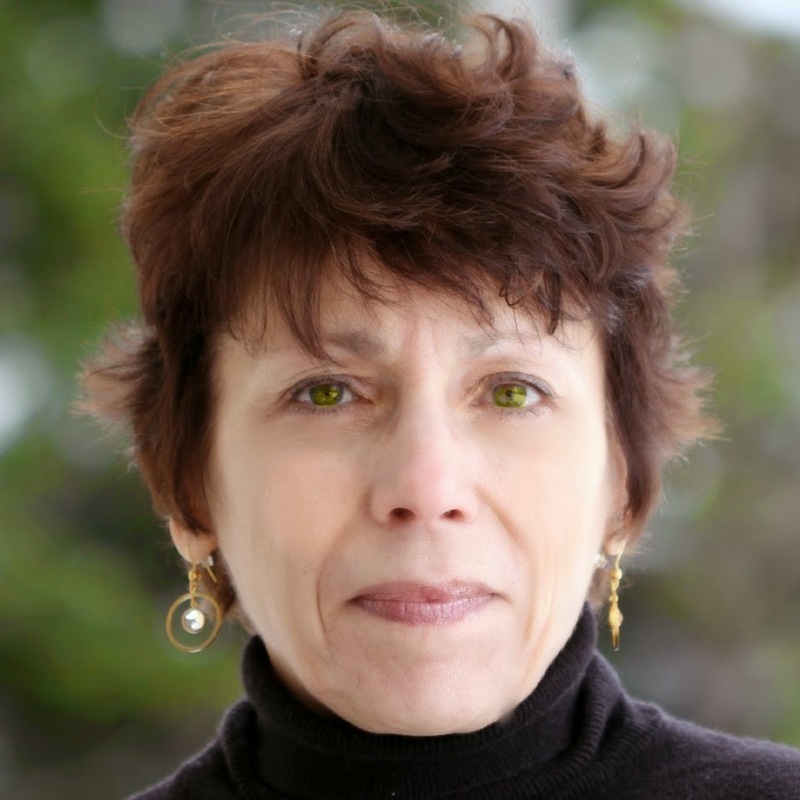 Dena Testa Bray is a UVAC member, blogger and the owner of Dena Testa Bray Web Design Services.